Ideally, everyone should be aware of their blood pressure as it is important guideline for the maintenance of their health and wellbeing. In order to prevent high blood pressure, it is best to take regular readings, which can inform users on if they should implement early preventive measures. Blood Pressure UK suggests checking blood pressure when users are comfortable and calm, and when the user’s heart is at a resting pace. Owning a Blood Pressure Monitor at home enables users and their family to take and record blood pressure readings at the best times for everyone—and users can also remind each other to take measurements on a regular basis. 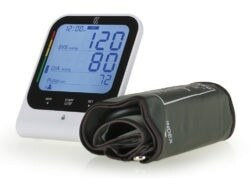 Kinetik Wellbeing blood pressure monitors are built to help users measure, monitor, and manage their health at home when they are most comfortable. 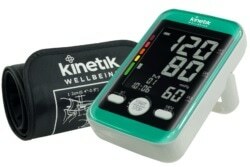 Each model in Kinetik’s Blood Pressure range offers its own unique benefits and features. 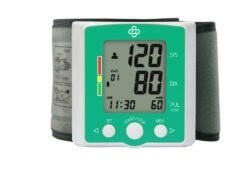 Which Blood Pressure Monitor Is Best? How Often will Blood Pressure Readings be Taken? All of Kinetik’s monitors are engineered to be user-friendly and require minimal setup, so users can check their blood pressure whenever they like without having to go through a lengthy set up each time. Kinetik’s monitors can be activated with a single click of a button. More regular users may prefer the advantages of the Advanced Blood Pressure Monitor X2 Comfort, which has a pre-formed comfort cuff that eliminates the need of readjustment for a comfortable fit. Do Users Need Assistance in Understanding Their Readings? If users are unaware of what their blood pressure reading should be and what it essentially is, Kinetik’s Traffic Light Feature will be of great help. The screen backlight will turn either red, amber, or green, to help establish the classification of the reading. Keep in mind that these are just indicators and a red or amber screen should not be taken as a medical emergency. To own a blood pressure monitor comprising of a traffic light system, take a look at Kinetik’s Fully Automatic Advanced Blood Pressure Monitor. Who is the Blood Pressure Monitor for? It is easier to stay on track when working together as a family to maintain a healthy lifestyle. The Advanced Blood Pressure Monitor X2 Comfort has a “Family Mode” setting—a three-user memory, with 60 memories for each user. 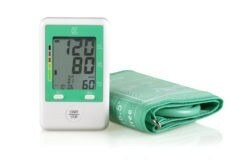 If users require a blood pressure monitor is for one or two people, they might want to consider the Kinetik Fully Automatic Advanced Blood Pressure Monitor, which consists of a two-user memory (suitable for couples). What Sort of Cuff is Best? 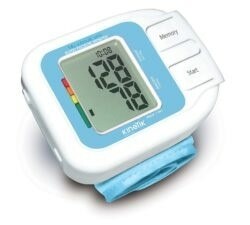 Checking blood pressure should be as comfortable as possible; therefore, Kinetik puts a lot of effort into its cuffs! All Kinetik Blood Pressure Monitors (with the exception of Kinetik’s Wrist Monitors) have a standard cuff size of 22–42 cm. As its name indicates, the Advanced Blood Pressure Monitor X2 Comfort comes with Kinetik’s most comfortable cuff till date! Not only is the cuff a one-size-fits-all, but it also provides added comfort for a hassle-free blood pressure monitoring experience. The pre-formed cuff is easy to position on the users arm with one hand, making blood pressure measurement a lot simpler. The Fully Automatic Advanced Blood Pressure Monitor and Fully Automatic Blood Pressure Monitor have a rapid release cuff for additional ease of use. If users would like to take their blood pressure from their wrist instead of your upper arm, the Kinetik Wrist Blood Pressure Monitor and the Kinetik Advanced Wrist Blood Pressure Monitor are designed particularly to meet these requirements. Is Data Linking to a Mobile Phone Preferred? If users use a smartphone or tablet device to help organize their daily life, the Kinetik Bluetooth Blood Pressure Monitor is the ideal choice. This monitor can be paired via Bluetooth 4.0 to their device, and using the free Kinetik Health App for Apple or Android devices, users can capture their readings every time. The system memory also stores the last 60 readings if users do not have time to sync with the app immediately. Once users are aware of the answers to these vital questions, they can pair their answers against Kinetik’s simple checklist for each Kinetik Blood Pressure Monitor to help decide which device is most appropriate.